What does a software developer do when her computer is in the shop? Why, play in her closet, of course (never mind the assigned reading, ahem). I had fun too, making 70s inspired outfits. I wasn't ambitious enough to do twiggy makup or straighten my hair (or add a headband even), and all my hats are packed for our upcoming move. So you get the lazy hippy variety of outfits today. #6 double denim attempt number 2. 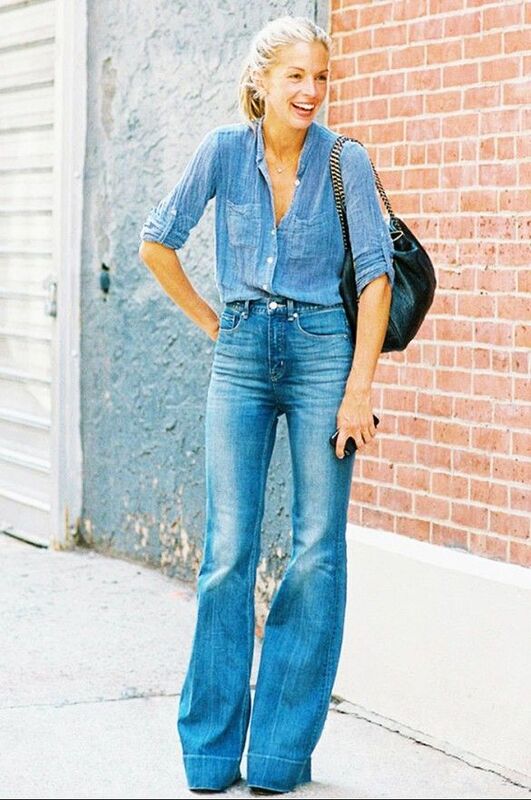 Somehow I liked the idea of a denim dress over flares as a 70s idea, even though I didn't have an inspiration pic for that specific silhouette. Does it work? (I think I'd wear it over skinnies today though). All comments - especially suggestions for improvement! Haha! *Lazy Hippie* is the best. All that canvas and denim! An poor lighting on the photos due to a rainy day, sorry! Ha! I am pretty sure #8 is what I was wearing in the late 70s as a young girl. I like the denim tunic on denim and #1 is pretty much spot on. Great inspiration shots too! 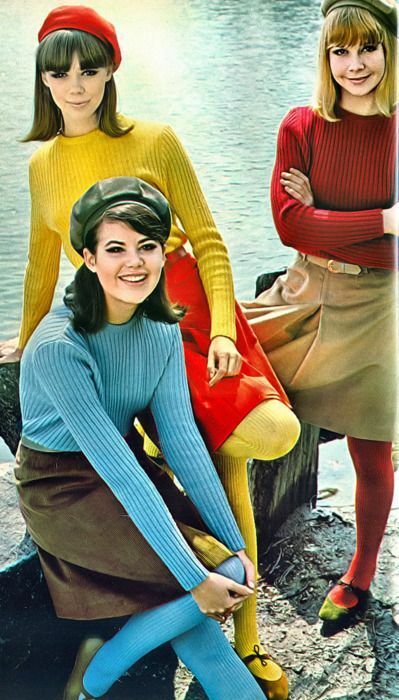 Oh, I had loads of those ribbed sweaters and thick tights! I digress... great renditions Amy!. Loving the skirt variations and the slouchy flares.